Yet again, I didn't manage wordless. I didn't even manage Wednesday. But that's my story and I'm sticking to it! For some reason I thought by the time this kid was age four I'd be done saying things like, "Do NOT lick the mirror!" No, the only difference between now and when she was one or two is that now I get answers like, "But spit will make it nice and shiny!" Link your own Wordless (or not so wordless) Wednesday! Thanks for hosting this week, hope you will stop by and share. Well she has a point and she is doing some washing up after all. Love this ! What cute kitchen help! Many years ago when I was teaching in the Snowy Mountains, we had a young 8 year old lad with ADHD who thought it funny to attract attention by licking the toilet wall. The kids were horrified and came rushing out to tell me of his foolishness. "Johnny," I said, "Not only is that a silly thing to do but it is, MOST UNHYGIENIC!" A few weeks later as we were attending our weekly ski lessons, I heard shrieks of mirth as the older children flew over the ski jump and crashed spectacularly. "Hey, Susie! That jump was MOST UNHYGIENIC!" I must admit I was chuffed to have inspired a colloquialism! 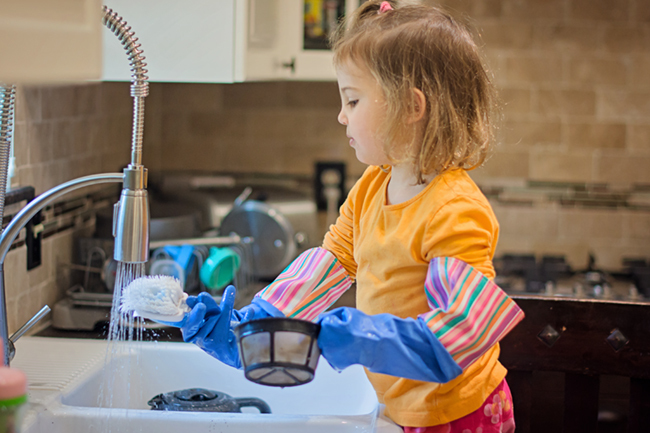 So anyway, tell that kid that licking a mirror is "MOST UNHYGIENIC"
You got them to help you dishes? Congrats! Well done! Serious and then NOT! 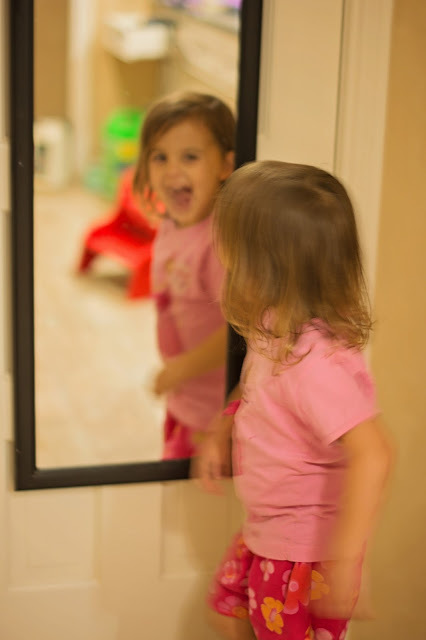 I love when she catches herself in the mirror. Out of the mouth of babes, right? SO adorable though. And I just love all the things they say at that age! Spit makes so many things clean, nice and shiny haha. I remember doing this as a kid!